Chaakapesh: the Trickster's Quest is touring six Inuit, Cree and Innu communities in Northern Quebec. For young Cree cellist Kelly Cooper it's a dream come true — playing in front of her extended family in the James Bay region of Quebec as part of the Montreal Symphony Orchestra's new opera. Chaakapesh: the Trickster's Quest is currently touring six Inuit, Cree and Innu communities in Northern Quebec. Written by Cree writer Tomson Highway and composer Matthew Ricketts, Chaakapesh is the story of a trickster caught in the belly of whale after Mantoo (God) asks him to help Europeans who have forgotten how to laugh. The story, according to Highway, is a combination of an Innu legend and the bible story of Jonah, set in the Gulf of Saint Lawrence. At each stop, a local artist is invited to perform a solo show within the opera, and on Monday in the community of Oujé-Bougoumou, it will be Cooper's chance to shine. "It's a great honour to perform at this concert," said the 19-year-old, who plays with the West Island Youth Symphony Orchestra near Montreal where she lives. "I am excited to have my family watch me play." 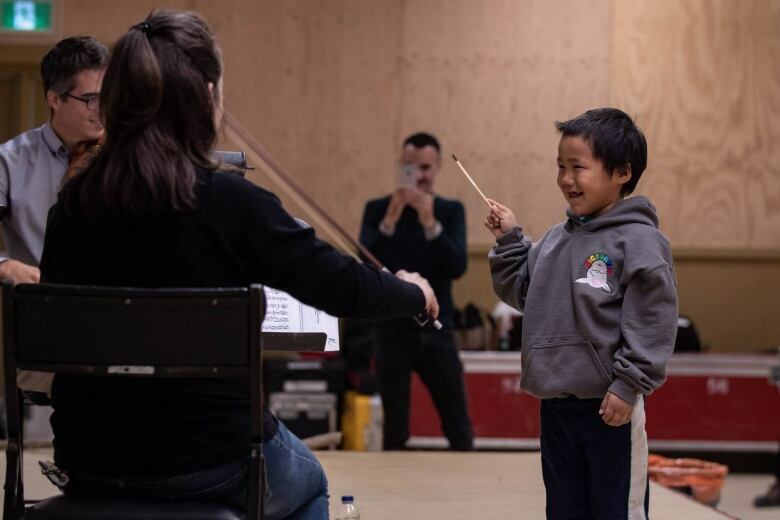 For Marc Wieser, the Montreal Symphony Orchestra's (MSO) project manager for the opera and tour, it was an important part of the project to seek out local artists like Cooper and to create connections and collaborations with Indigenous artists and communities. Chaakapesh has already stopped in Kuujjuaq and Salluit. 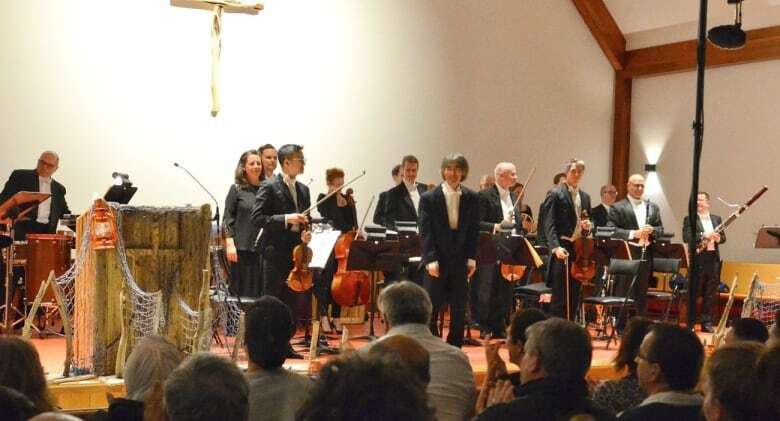 Outside of the opera MSO musicians and Maestro Kent Nagano have exchanged with locals. "Our hope is that it would be a work that would speak to our tradition as an orchestra, but also some of the traditions of the people we are visiting through engagement with their languages and artists and culture," said Wieser. Chaakapesh has already stopped in the communities of Kuujjuaq and Salluit. 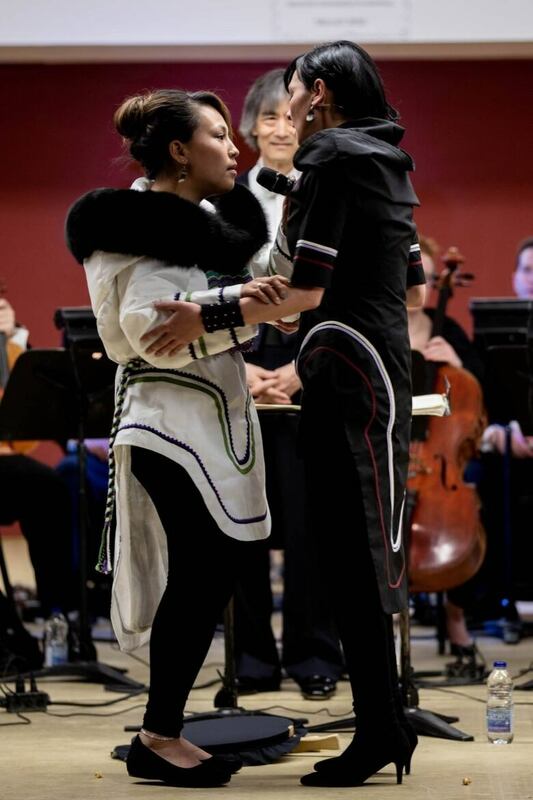 (Isabelle Dubois/Orchestre symphonique de Montréal)Along with the solo performances by local artists like Cooper, Chaakapesh will also be narrated into the Indigenous language of each community — either Inuktitut, Cree or Innu. Cooper says just being able to "play and work with other musicians" of this calibre is a highlight for her. She hopes it will make people up North open their eyes to the magic of making music. "I think it's a great way to expose orchestral music to others," said Cooper, who only started playing the cello four years ago, after years of playing piano. "Ever since she was a young girl of six years, her desire to learn music was always there," said Cooper's father Gaston, adding when they moved to Montreal they were told she was too old to switch from piano to cello. But she proved them wrong. Gaston says Chaakapesh is a reward for his daughter's hard work. 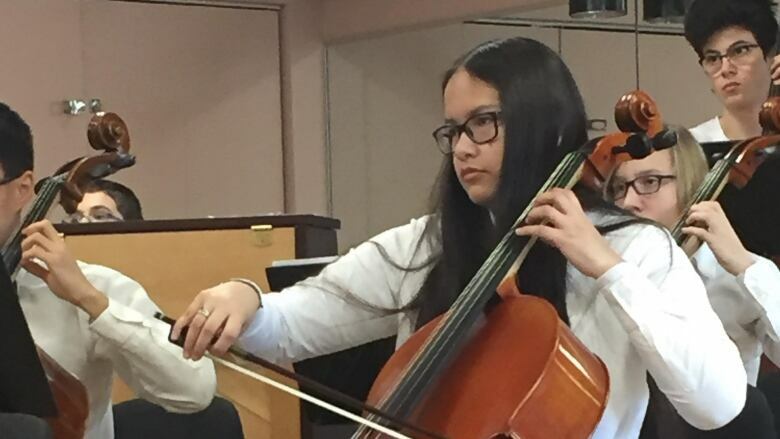 "Even her teacher was shocked and surprised by how quick she was able to pick up this instrument," said Gaston, adding he and Kelly's mom will be "very proud" to see her perform Monday. Upcoming performances of Chaakapesh: the Trickster's Quest will be in Oujé-Bougoumou on Sept. 17; Mashteuiatsh on Sept. 18 and Uashat mak Mani-Utenam on Sept. 19.